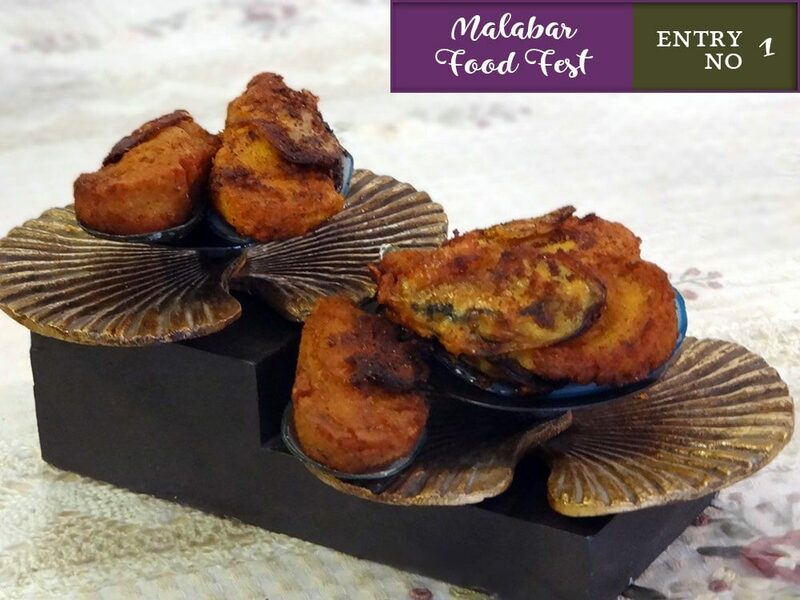 This is the first entry we received for our “Malabar food fest 2018“. This event is organized by cheenachatti to collect and share the traditional recipes of Malabar, the food heaven of Kerala. If you are a Malabar food fan, and haven’t submitted your recipe yet, please visit our food fest page to win an amazon gift voucher of 2,000INR. Stuffed Fried Mussels is one of the famous snacks in Malabar region of Kerala, India. Clean outside shell of the mussels with the brush to remove all the dirt. Open mussels with knife and softly clean inside, in running water. Gently slide the knife through the slits and open the shell by running the knife around. This is quite tricky and one should be careful not to get hurt. It is easier to open the shell if you slide the knife at the straight portion of the the slit. Keep it in a plate so that the excess water will drain off from inside. In a mixie pulse grated coconut, shallots and fennel seeds to a coarse paste. Add this to the rice flour and make a soft dough by adding salted hot water. Fill this rice dough inside the mussel shells. Steam this mussel for around 20 minutes in a steamer and allow it to cool. Gently separate mussel-dough from shell taking care not to seperate separate mussel from dough. Make a paste of chili powder, turmeric powder and very little salt with just enough water. Apply this chili paste on steamed Mussel. In a non stick pan, heat oil and deep fry mussels until golden brown. Enjoy your kallumakkaya nirachathu with hot tea. If you have tried this recipe, please share your feedback in the comments form below. This entry was added on April 12th, 2018 by Renoos in Bakery and tagged with Arikadukka Recipe, Stuffed Mussels, mussel, malabar recipes, kallumakkaya, malabar food fest, Kallumakkaya Nirachathu. Last revised on April 12th, 2018.